Home Page - Meebli Inc.
Meebli gives you visibility into your rentals at every stage, simplifying your equipment rental process. Renting equipment has never been this easy! Decrease the time between equipment requisition and order completion. Avoid paying fees on late equipment returns. 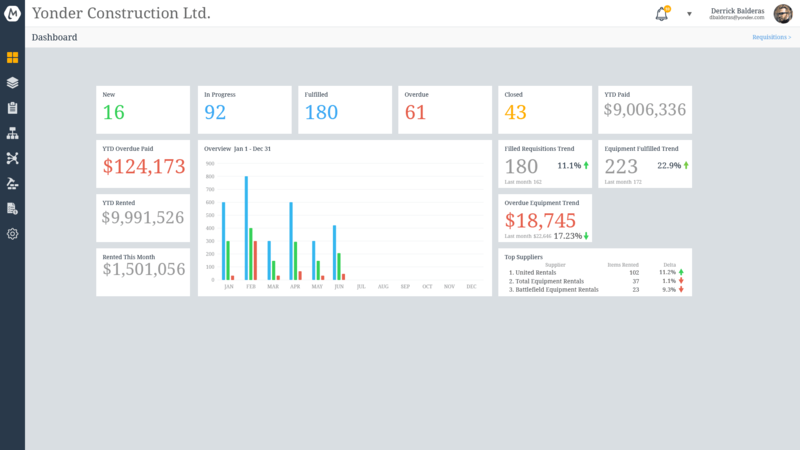 Meebli's machine learning monitors and analyzes your requisitions providing you valuable feedback. 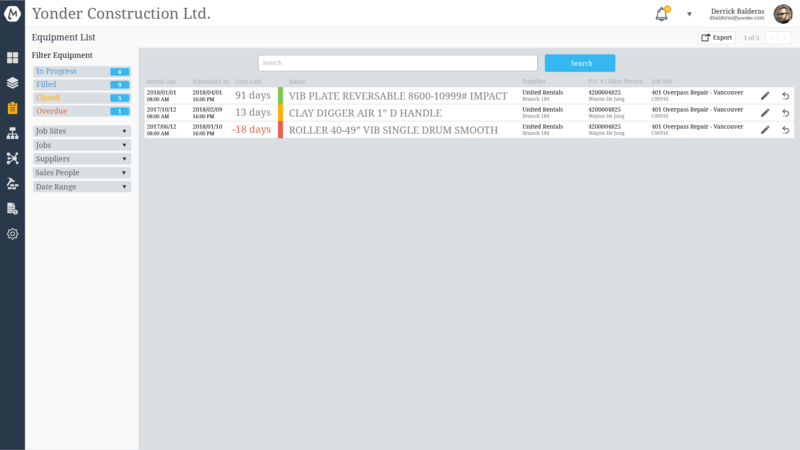 Manage all of your equipment requisitions in a single place. Meebli guides you through the entire rental equipment lifecycle, from rental acquisition to returns. Data generated by the process provides insights and visibility of what you have on rent at any given time. Acquire full visibility with detailed reports and notifications using Meebli's machine learning. Requisition rental equipment directly from the job site with your mobile device. Field workers can communicate promptly and efficiently with your equipment coordinators. 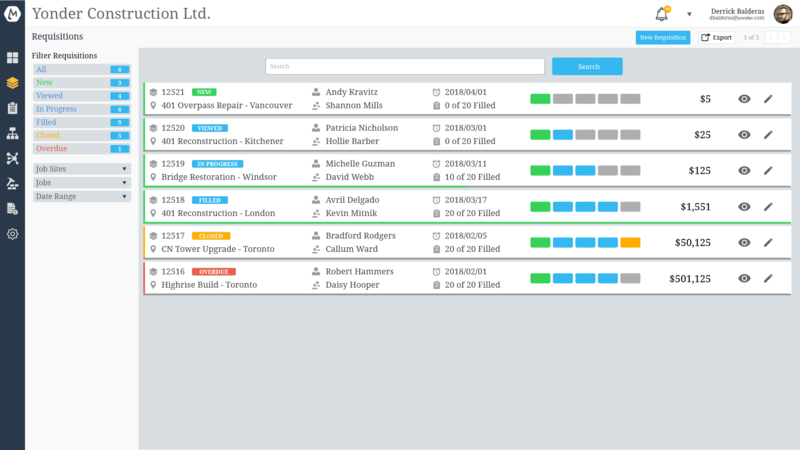 Monitor all aspects of your rentals with a single glance. Detailed dashboard provides information on all stages of your rental process. View all requisitions in one place and see the status of each requisition in real-time. Filtering capabilities allow you to find what you are looking for quickly and precisely. Maintain visibility on all your rented equipment. Drill down to any detail level and never misplace another piece of equipment. © 2018 - Meebli Inc.